or how big your house is or how fancy your car is. that will soon become the most important thing to you. love is what matters to you. 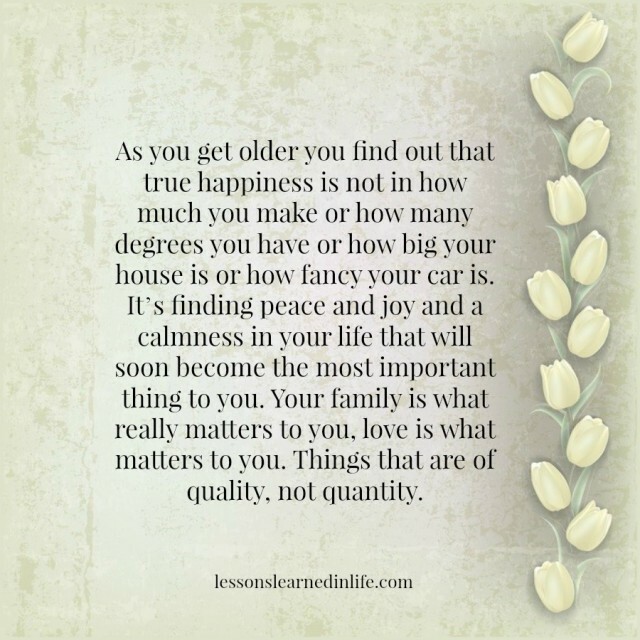 Things that are of quality, not quantity.